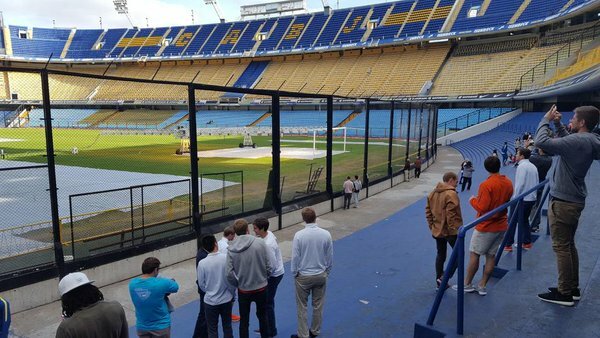 For the past ten days, I have been in Argentina – specifically Buenos Aires and Rosario – leading a course about soccer and globalization in conjunction with the Clemson men’s soccer program. The students had a series of lectures and presentations pre-departure, mostly based off of Franklin Foer’s How Soccer Explains the World: An Unlikely Theory of Globalization. Foer’s thesis is that “globalization has failed to diminish soccer’s local cultures, local blood feuds, and local corruption, and may have actually increased the power of local entities.” The students have been asked to reflect on this global/local tension of soccer cultures through a series of seminar discussions and journal entries while we are in country. 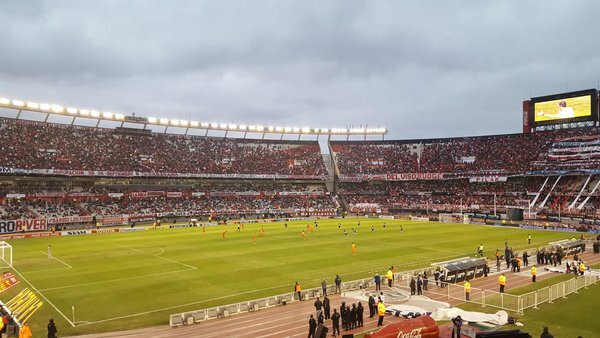 Upon our return to the United States, the students will have to complete a major paper that, in part, addresses Foer’s thesis as viewed through the lens of their own experiences in Argentina, including playing games against local squads (such as the reserve teams of San Lorenzo and Newell’s Old Boys, to name but two), going to local matches (including at River Plate and Argentinos Juniors), and through their own informal interactions with the sporting and non-sporting cultures of Argentina. 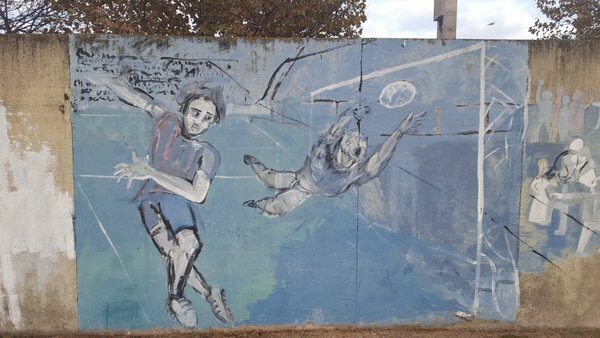 As you can imagine, the students have experienced many different aspects of globalization and its local resistance throughout the journey thus far, from playing an impromptu five-on-five street match against locals in the La Boca community to being swept-up in the atmosphere of El Monumental during a match. During my conversations with the students, and perhaps because of my own research interests, the role of heritage and its relationship to Argentinian fútbol has become a focal point of our discussions. One of the aspects I pointed out to the students, particularly after we toured La Bombonera – home of Boca Juniors – and visited the team museum, is that heritage (including team traditions, history, rituals, and culture) is one of the products that is packaged and sold to fans both locally and globally. Similarly, I told them that touring team museums and stadiums was, in a sense, an entry-point for many to acquire or re-enforce their fandom. 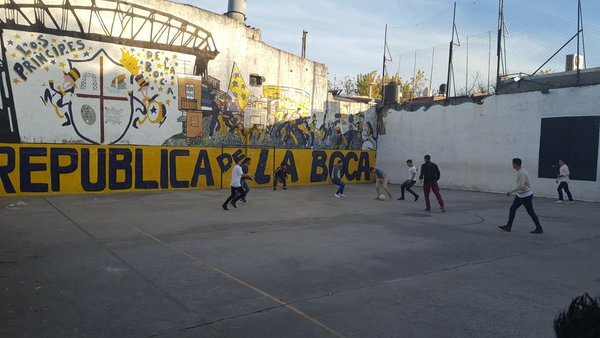 Judging by the number of students who left La Bombonera with Boca merchandise (and who said they would support Boca upon their return to the US, despite the fact we did not actually see Boca play in their home stadium), there is something to the theory that experiencing heritage may lead to support and fandom. 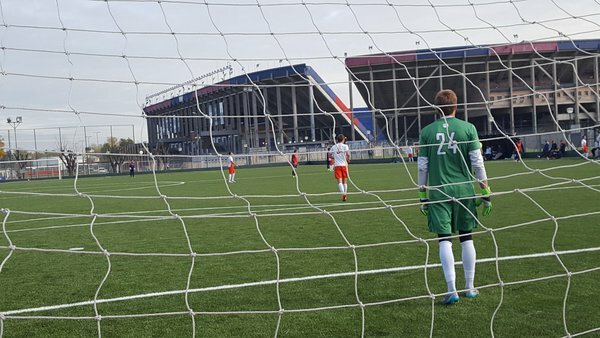 The students noticed that, despite the local cultures and chants, the teams were largely sponsored by international companies – and, often, American companies like DirectTV. They also commented that most of the music played in the stadiums we went to were American or British artists. However, the interesting thing that the students did mention – and related to both globalization and heritage – were the styles of play they were encountering when playing against Argentinian clubs. They noted that it was a very distinct style of play, similar to the style that the Argentinian national team plays, primarily in terms of speed and aggression. Interestingly, they noted that some of the teams they’ve played anticipated a very “American” style of play from Clemson, and were surprised when Clemson played above expectations. Similarly, they have noted both the style of refereeing to be different and, in some cases, more knowledgable than US referees (with a few exceptions). They have also been enamoured with the fact that they are immersed in a soccer culture all the time, something that they rarely get to experience in the US. One of the interesting aspects I have noticed at each of the grounds we have visited are the murals situated outside of the stadiums. While many are fútbol-related, others appear to be more about social and political struggle. We still have a few days remaining in-country, and I expect there will be more lessons to be learned – both on and off the pitch. We have seen some of the impacts of inflation in the country, and while in Buenos Aires we witnessed several major protests right on our doorstep. The students have two more games to play in Rosario, as well as a number of non-sport activities including a city tour, and I expect we will have many more interesting discussions about globalization, heritage, and soccer. By Gregory Ramshaw in Argentina, Clemson, fútbol, football, globalization, heritage, history, museum, soccer, sport heritage, sport history, stadium on May 18, 2016 .